Edgy, urban and far from most tourists’ expectations of Dublin, Phibsborough is an accessible, working-class glance at Ireland‘s capital. It probably won’t inspire you with its architecture or its tourist must-sees, but there’s plenty to take from absorbing another angle on the city, and taking in a different sense of what modern day Ireland is like for a lot of people. That, and Phibsborough can be a whole lot of fun. With something of a punk element, and (for now) still playing in the tumble-down former national stadium at Dalymount Park (where two sides of the ground are so decrepit they can’t be opened), there’s always an air of ‘just surviving’ to Irish top-tier soccer club Bohemians, but they’re also by far the most interesting club Ireland has to offer. Formed in 1905, the Phibsborough club is known as ‘the Gypsies’ or simply ‘Bohs’ and has a bitter rivalry with south-side rivals Shamrock Rovers. It has a hippie buzz, and a member once played a key role in saving Spanish giants Barcelona. Allow a bit of time to take photos of the artwork outside the stadium doors, and get a sense of that rivalry below. One of the biggest Irish folk songs, ‘The Auld Triangle’, is all about the dubious but heartfelt romance of inner-city Dublin, with the Royal Canal at its core. The flawed wonder of the old locks leading up through Phibsborough via Croke Park and the modernity of the business-led IFSC are an essential stroll if you want a sense of Dublin away from the tourist heartlands. Explore the towpaths with their sporadic statues, grotty feel and prison-side walks and you’ve escaped glossy Dublin and soeaked up the gritty reality instead. This strange little hideaway is little-known to many locals, tucked away in the heart of the urban sprawl and a former water supply source for much of this part of the city. Blessington Street Basin dates back to the 19th century and supplied water until the 1970s. Today it’s a little-explored park, though the reality involves mostly some exotic plants and a narrow path around the waters: it isn’t exactly a place to roam. 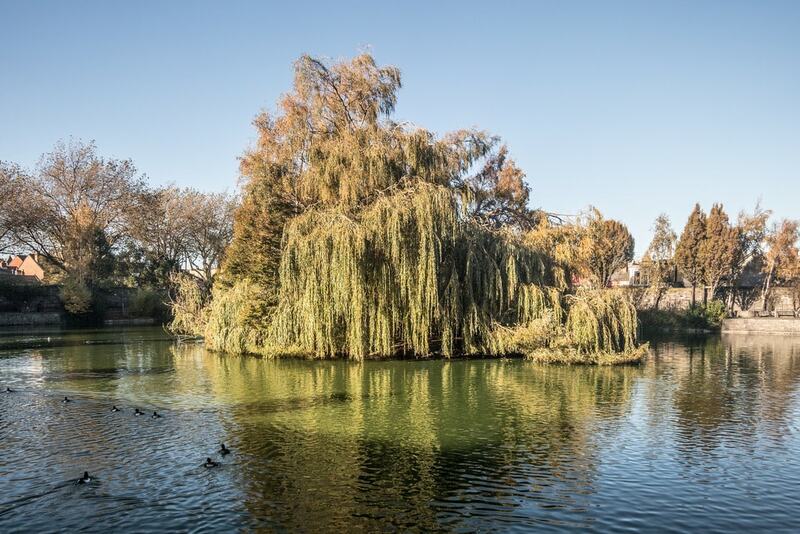 Nevertheless, the basin, which holds 15 million litres of water, is an unlikely quiet corner of the city complete with birds, fish and glorious peace and quiet. Blessington Street, Dublin 1, Ireland. A cool-to-the-point-of-chilled venue that’s all concrete floors and exposed beams, Woodstock is Phibsbrough’s hipster heart, a restaurant that does a little bit of everything, from vegan to takeout. They serve a carvery and a hefty breakfast, but also plenty of fresh vegetables and classy desserts, all in substantial portions, and displayed in a pick-it-yourself buffet. It’s been called ‘a jewel in the jungle’, which is a nice summary of this shiny local stand-out. 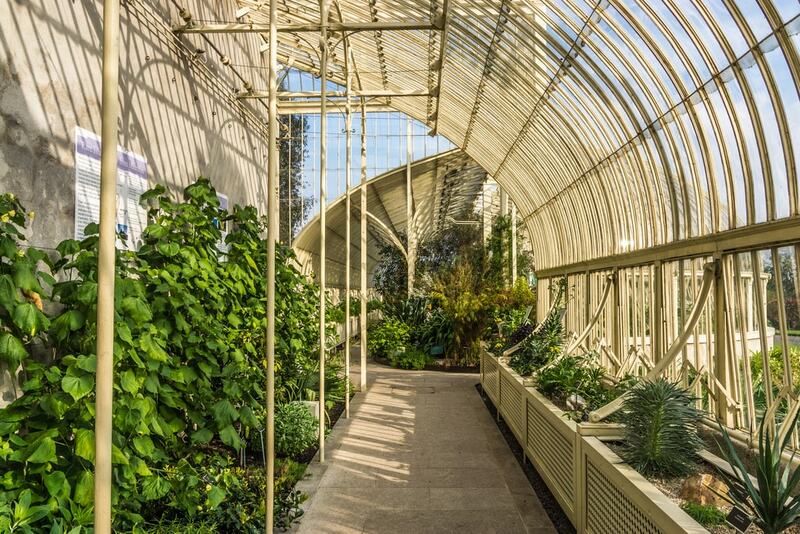 Technically just outside of Phibsborough in neighbouring Glasnevin (but an easy walk from Phibsborough itself), the National Botanic Gardens are an often-missed north Dublin attraction, and a perfect spot for a quiet few hours strolling and sipping coffee (there’s an on-sight café). The spectacular greenhouses hold plants from all over the world, as well as little pieces of art and history. There are regular tours, and even the main outdoor gardens seem to defy the local climate and go global on the expansive selection of plants to explore. Mellow, and beautiful. Botanic Road, Dublin 9, Ireland. The Porterhouse is a small chain of pubs spread across Dublin, but the Phibsborough one is a far cry from its Temple Bar cousin. While the Temple Bar offering is crammed with tourists, the Phibsborough local presents the same fantastical selection of brews in a more compact and local-leaning pub. As well as their own selection of eight or 10 on-tap ‘Porterhouse-only’ beers, there’s an international bottle menu which extends to unlikely corners of the earth, featuring beers from Thailand to Brazil, Russia to Mexico. Another one that’s technically just outside Phibsborough’s borders, but definitely worth the short stroll, Glasnevin Cemetary hosts very much a who’s who of the key figures in Ireland’s history, particularly when it comes to the revolution. 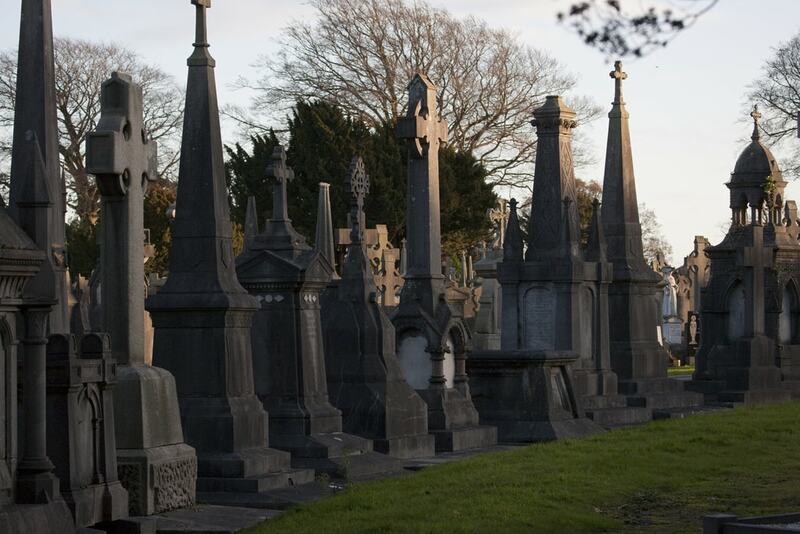 Famous characters buried here include revolutionary leaders Daniel O’Connell, Charles Stewart Parnell, Michael Collins and Éamon de Valera, as well as star of popular trad act The Dubliners Luke Kelly. It’s also the sight of a mass grave linked with the notorious Magdalene Laundries, former ’employers’ of ‘fallen’ Irish women, as well as an ‘angels’ plot’ for stillborn babies. They hold regular tours, which are a quick-fire education on Irish history.